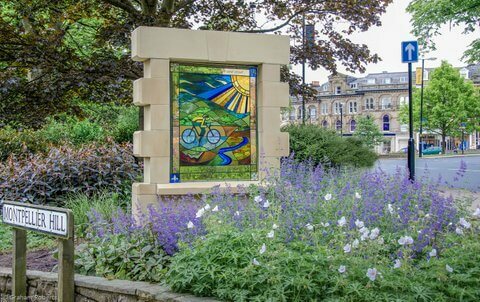 From my studio in Harrogate, North Yorkshire, I provide a full design and make service to create bespoke contemporary and traditional stained glass art and installations for both private and public settings, including schools, museums and commercial space. 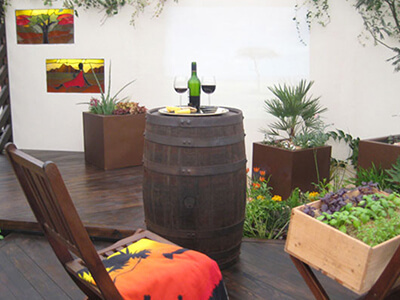 Using traditional methods and craftsmanship, My installations are both functional and works of art. 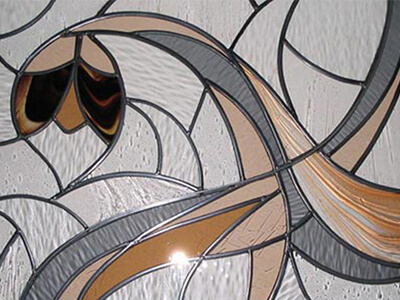 My work is often abstract, inspired by nature and by the beauty of the glass itself. 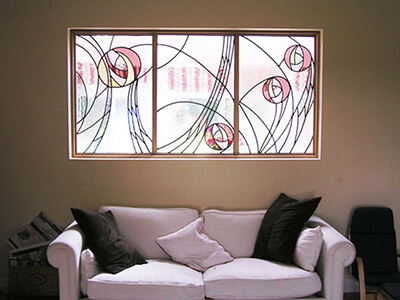 Each unique panel is carefully designed to be sympathetic to its immediate environment and specific location. 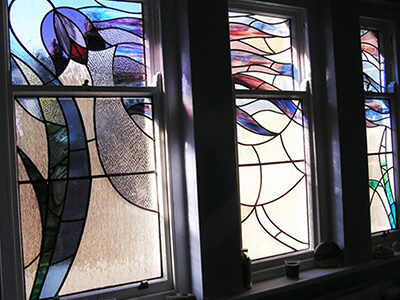 My work involves combining various processes to produce unique works for installation. 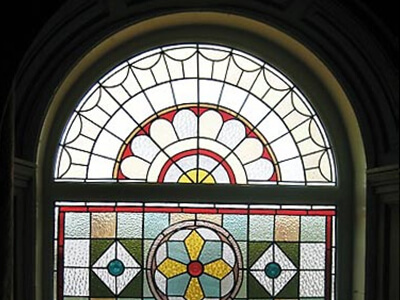 Much of my work involves traditional stained glass methods using antique and machine-rolled coloured glass that is held together with lead. 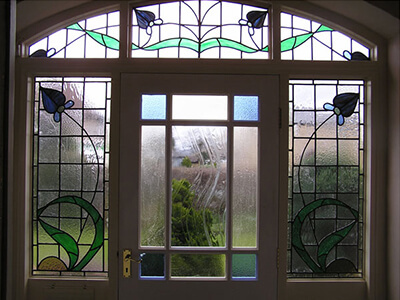 This is sometimes combined with surface finishes onto glass with the application of coloured enamels and paint, and the introduction of etched and sandblasted techniques to create beautiful effects. I strive to create the most appropriate interpretation of my brief, exploiting the exquisite brilliance of the medium and its relationship with light. For the sheer beauty of it!